Dental Implants are a great way to replace missing teeth and also provide a fixed solution to having a removable partial or complete dentures. Implants provide excellent support and stability for these dental appliances. 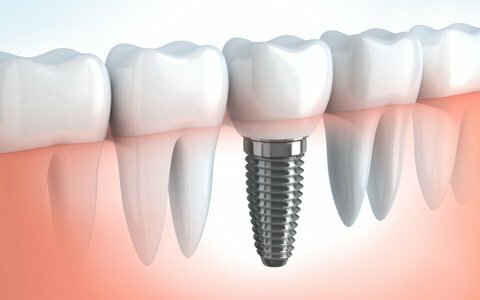 Dental implants are artificial roots and teeth (usually titanium) that are surgically placed into the upper or lower jaw bone by a dentist or oral surgeon. They are crowns or bridgework that is designed and placed by a dentist. The teeth attached to implants are very natural looking and often enhance or restore a patient’s smile! Dental implants are very strong, stable, and durable lasting many years, but on occasion, they will have to be re-tightened or replaced due to normal wear.